Isn’t it magnificent how, even when we don’t do much for God, He is still working wonders for you? Don’t you ever feel like you’re taking advantage of the relationship; taking more than you give? Some days I feel like I do a lot for Him. Others, not so much. And then there are those days that I don’t want to do anything, for Him, His Kingdom, or anyone else. I just want to veg out on my couch in my pajamas all day, drink my coffee, watch my chick flicks and forget about the world around me. (Does anyone else have those days?) Granted, even the Bible talks about enjoying a day of rest, a Sabbath day; however, that day is meant to be set aside to rest our bodies, and keep it holy. (Genesis 2:2-3) I’m not sure how holy I’m keeping my resting day when I barely even acknowledge Him, other than a quick blessing over my meal during commercial break. He will never give us less than His best…so, why do we think He deserves less than our best? 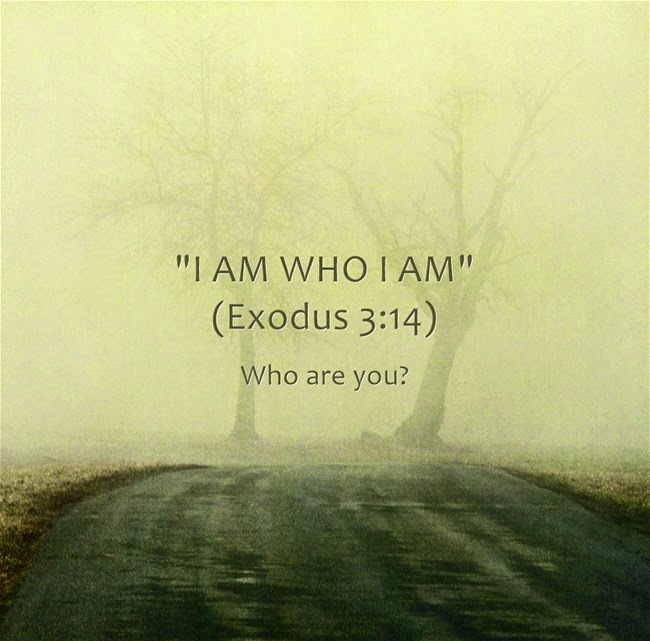 “I Am Who I Am” (Exodus 3:14) He Is Who He Is: Are we who we claim to be? Are we His friend, or His foe? Because what it boils down to is, if we’re not completely for Him, we’re against Him.